Many of you may have thought this band to play a totally different style. Incorect and unjustified! The wise ones have known for a long time SKULLHOG produce high-quality horror death / doom. Not only a split EP with Regurgitate but also a split with Coffins should guide you into the right way! And if you have happened to get to their so far latest studio recording which is the album „The Evil Dead“, everything will be absolutely clear! This Dutch pack do know how to play! And the plans for this year? A new album at Bones Brigade, a split EP with Violation Wound at RSR and …. And the evil at Obscene Extreme Festival 2016! The barbaric entity SKULLHOG, formerly known as BILE, from The Netherlands stomps and crushes a path through the sewers of early 90's Death metal, Sludge and Gore- soaked Horror! 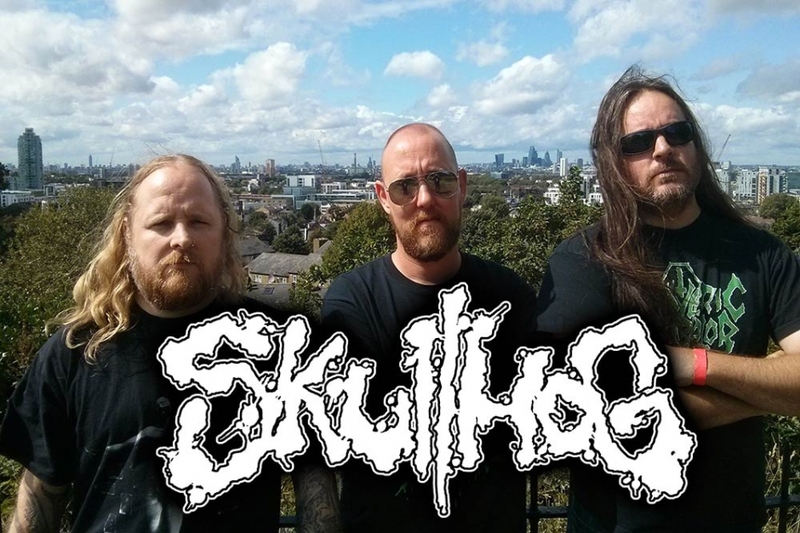 2016 Skullhog "Smouldering Abnormality" track on comp/magazine "Invocation of Obscene Gods"